7. 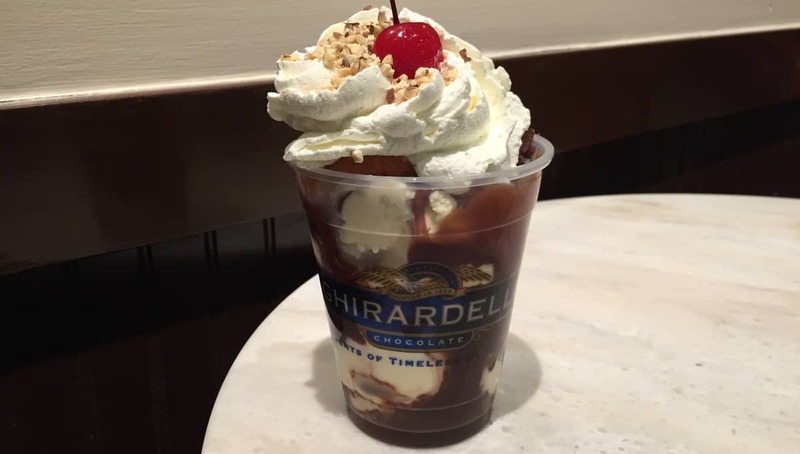 Free Ghirardelli Chocolate samples are handed out at the Ghirardelli Store in Downtown Disney Marketplace every day. And since it is Florida, you really should not wait to eat that wrapped sample they hand you! These are delicious! !